Last year's Grammy Awards were big for Beyoncé. Of course, it's not like they're not consistently great for her — but, last year, they were particularly great because Bey's self-titled album had dropped just over a month earlier and we were all still reeling from excitement. Now, it looks like this year will be just as big for the Queen, but in a different way: Beyoncé will join John Legend & Common at the Grammys to salute the highly acclaimed Dr. Martin Luther King Jr. biopic Selma, with a performance of "Glory" and "Take My Hand, Precious Lord." "We do have an incredible introduction to our performance. A segue into our song ‘Glory,’ as a tribute to Selma, being done by the great Beyoncé. That's one of the greatest talents you can have, helping us segue into it. To co-create a performance with someone like her. It's good." Between his accolades for the Selma song and his stellar performance at the Super Bowl, this really has been his time to shine. Even if you're just dancing around in your underwear, everything needs more Bey. She's such a powerful figure in the music industry and pop culture in general. If anybody is going to get folks to listen to "Glory" and think about its implications, it's her. Last year we had the iconic "Feminist" signage and this year will continue Beyoncé's political activism through music. Plus, I always love when a recording artist takes a moment to perform something less flashy and pop. 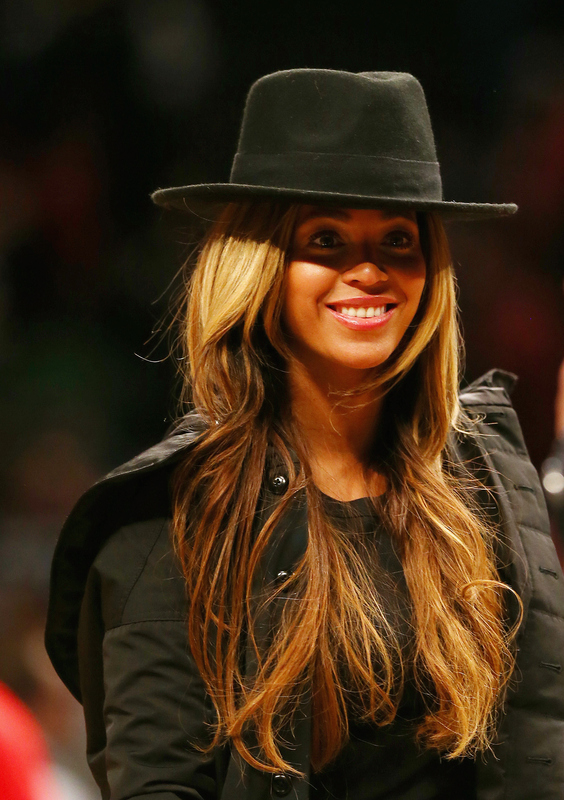 Beyoncé has an incredible gospel voice and I can't wait to hear more! You can't help but wonder if this performance is in any way sticking it to the Academy Awards for snubbing Selma and artists of color in general this year. The gospel song that Beyoncé will sing to seque into "Glory" was Dr. King's favorite song. It is featured in Selma , sung by R&B artist Ledisi. Above, Mahalia Jackson performs the piece on television in 1961, just as she did at many of MLK's rallies and at his funeral. In fact, it was recorded that his last words were a request for the song to be played at the meeting he was scheduled to attend. The song has quite a legacy and it will be amazing to see Beyoncé join this legendary group.